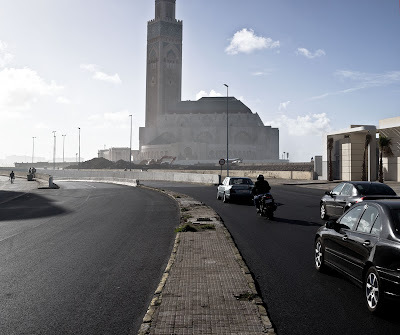 Casablanca, the pride of the nation: THE BIGGEST MOSQUE EVER! 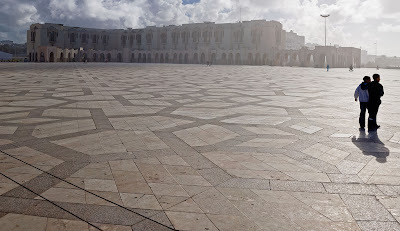 Square in front of the biggest mosque ever, bordered by the biggest madrassas ever to try to keep Morocco's youth firmly in the Koran's grip. I did happen upon an authentic atheist, however - a taxi driver. As far as he knows, he's the last one in Casa. Poor chap.